Edgar Allan Poe mural above the fireplace, Poe's Tavern Sullivan's Island, SC. 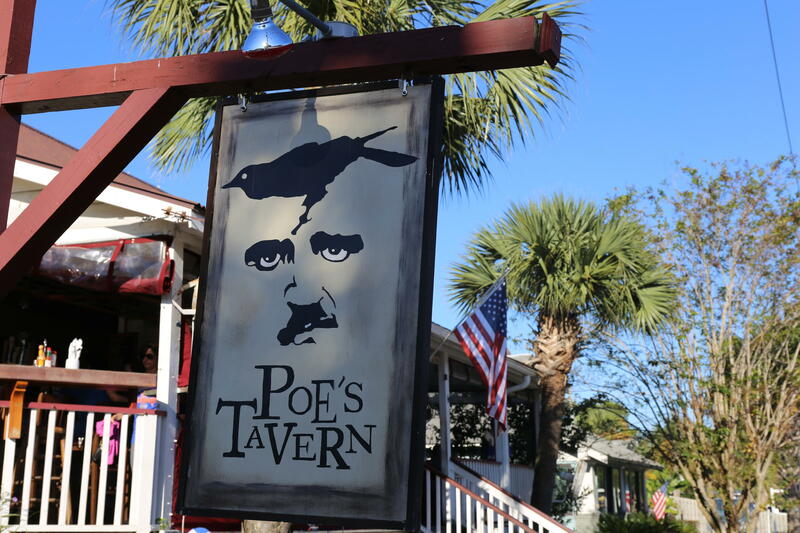 Whether you're walking down Raven Avenue or biting into a Gold Bug Burger at Poe's Tavern, you are certain to find plenty of Edgar Allan Poe treasure on Sullivan's Island. The elusive 19th Century writer has direct ties to the island. But they weren't discovered until decades after his death, even though there are clues in his writings. Poe's Tavern, Sullivan's Island, SC. "In his own time, Poe essentially covered up the fact that he had been an enlisted man in the Army," said College of Charleston American literature professor Scott Peeples. "That of course including his being stationed at Fort Moultrie." Peeples has written two books about Poe, "Edgar Allan Poe Revisited and "The Afterlife of Edgar Allan Poe." He shares his expertise in a new American Masters biography, "Edgar Allan Poe Buried Alive", airing October 30th at 9 p.m. on SCETV. College of Charleston Professor Scott Peeples. Peeples says Poe was 18 years-old and broke in 1827, when he enlisted in the Army and was stationed at Fort Moultrie on Sullivan's Island for a little more than a year. He was a clerk, Peeples says, most likely because he would have been one of the few enlisted men who could read and write. He eventually achieved the rank of Sergeant Major. But Poe was not proud of his time in the service. In fact, he enlisted under the assumed name Edgar A. Perry. "Anytime he provided information for someone to write an article about him, he not only did not include that, but made stuff up about that period of his life that sounded more romantic than simply being in the Army a couple of years," said Peeples. Poe wasn't a writer who was easily pinned down. The author of both poems and prose could comfortably slip into the mind of a conniving killer as in his short story "A Tell Tale Heart". He's considered the father of the modern day mystery. Yet, he also wrote "The Angel of the Odd," a comedy about being drunk. Poe was even a literary critic, as well as a writer and editor in the era of emerging magazines. While he may have shunned Sullivan's Island as part of his personal history, it stayed with him as a setting for stories. Peeples says he used the Island as the landing point for a balloon that had supposedly crossed the Atlantic in an 1844 article for the New York Sun. The story was fake. But the place was very real and had already been a launching point for a tale a year earlier. "He wrote probably what was his most celebrated story his lifetime The Gold Bug 15 years later," said Peeples. "He set it on Sullivan's Island." A view from Gold Bug Island. Driving to Sullivan's, Gold Bug Island is on the left just before the Ben Sawyer Bridge. The spit of land is easy to miss unless you know it's there. It's popular today for oyster roasts and weddings. 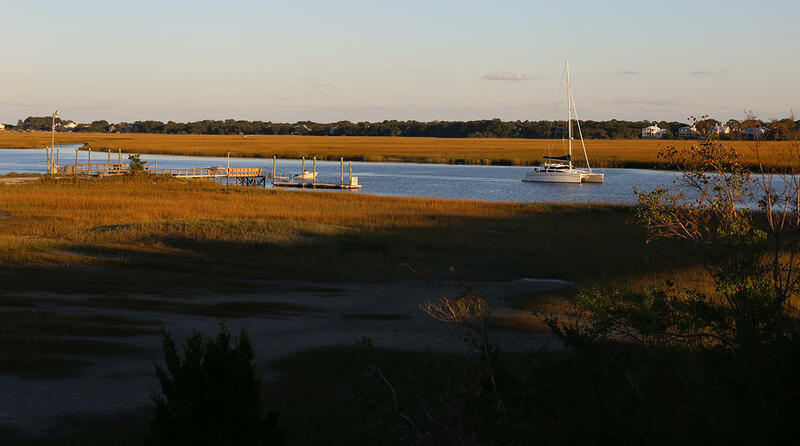 Both Sullivan's and Gold Bug Island are less than 10 miles from historic Charleston. "Though we don't know where he went or who he met for sure or what he did, he most certainly spent time in Charleston," said Peeples. "He could have very well walked through what is now the College of Charleston campus. The professor says Poe also references Charleston in his short story "The Oblong Box." It's about a summer sea voyage and a curious pine box. It's size and scent disturb the narrator's senses. The ship sets sail from Charleston. "For Poe, that's kind of a lot," said Peeples. 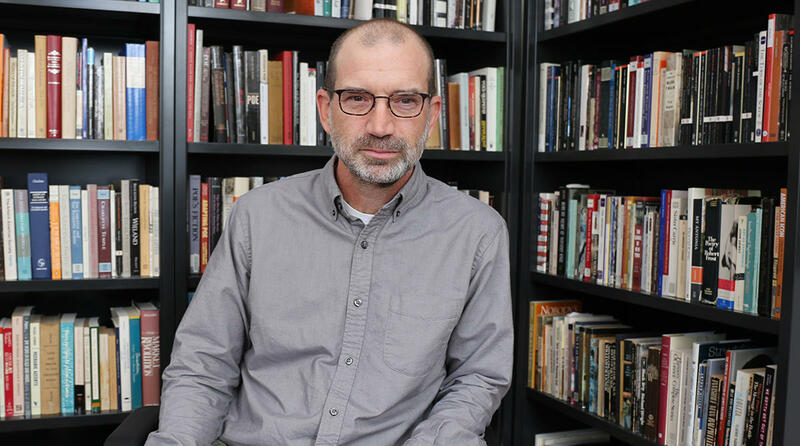 "Most of his most famous stories are not set in specific American cities." Peeples says local writers recognized the references and began trying to claim Poe in the 1920s during the Charleston Renaissance. Other cities like Philadelphia, Baltimore and Boston had already done so successfully. More than 100 years later, Charleston's own Pat Conroy paid tribute in the opening of "The Lord of Discipline." "I like to think of him walking the streets of Charleston as I walk them and it pleases me to think the city watched him, felt the shimmer of his madness and genius in his slouching promenades along Meeting Street." Peeples is now studying the places Poe once lived. What were they like then? How did they influence him and how did he influence them? He says Sullivan's Island is unique. You can still feel Poe's footprints in the sand. "It's not hard when you're standing on the beach at Sullivan's Island," said Peeples. 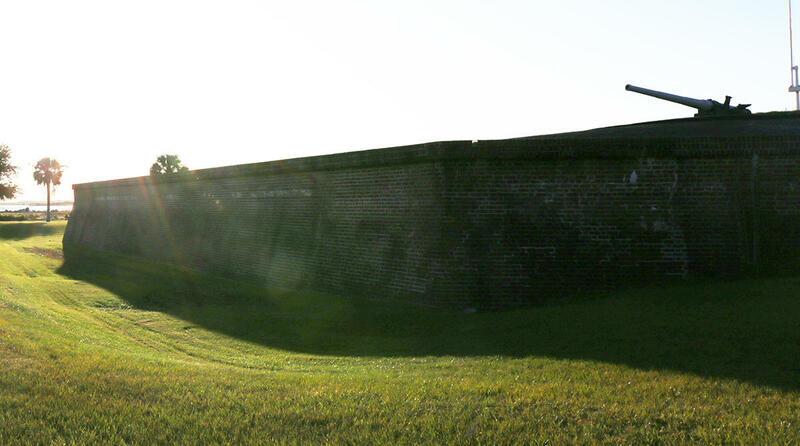 "You can easily put yourself in Poe's boots standing there outside the Fort back in 1828." The island's view has hardly changed. Its crooked oaks and canopy of Spanish moss still set the scene for a tale only Poe could tell. The ocean waves crash in refrain with a kingdom by the sea. You can still hear the squawk of a crow feasting in the marsh.